Hey Everyone! Here is another creation drafted in a boring working meeting. 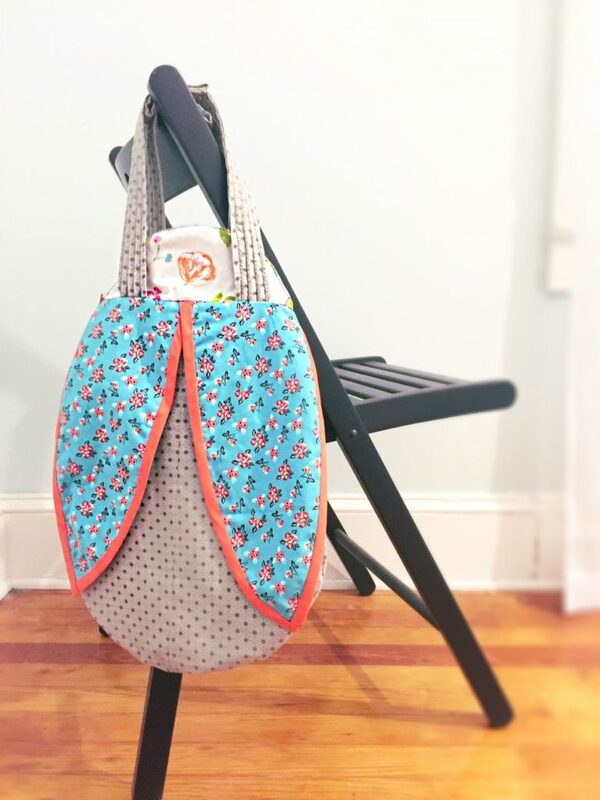 What little girl wouldn’t want to carry her things in this precious ladybug tote bag. It is the perfect size for a sleepover, a day at the park or to carry books at the library. You can whip this up in under 2 hours. It also makes for a nice Christmas gift to show off your DIY skills. This bag measures ~15″ high by 12″ wide. You can mix and match your favorite fabrics to create the wings and the head. It does not come with a closure (because I was just too lazy to do one) but you can add velcro or a snap closure based on your preference. I hope you guys enjoy this free ladybug tote bag pattern. Please posts pics so that I can see how yours turned out. 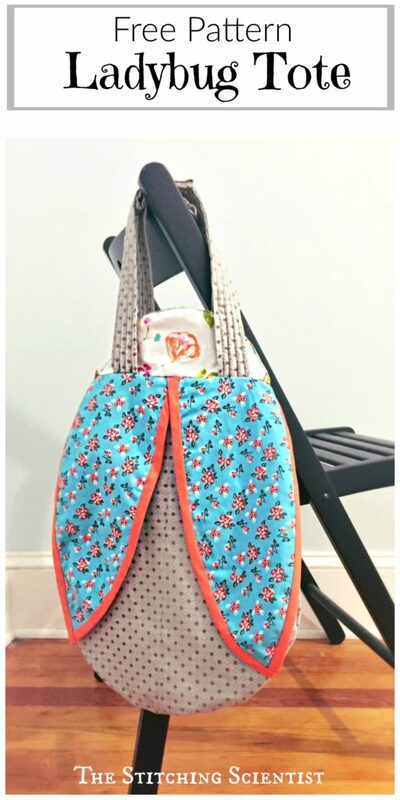 The fabrics I ended up using for this tote are from Joanns. I just tried and make the wings a big contrasting to the body. The bright colored binding on the wings really accentuate the wing feature. I wish I had used a brighter color for the head. Maybe next time. The bag opens at the head opening so it is a big narrow. For my next draft, I think I will make the head a tad bit wider. I also made the straps too long so that is why you see them rolled up a big for the picture. The pattern corrects that mistake for you.